Stockholm, Sweden is one of several cities in Europe taking part in the new ZeEUS, Zero Emission Urban Bus System project, co-financed by EU, with a goal of demonstrating and evaluating electric and plug-in hybrid buses. In Stockholm, the supplier of electric buses is Volvo, which leads this part of ZeEUS together with energy provider Vattenfall. 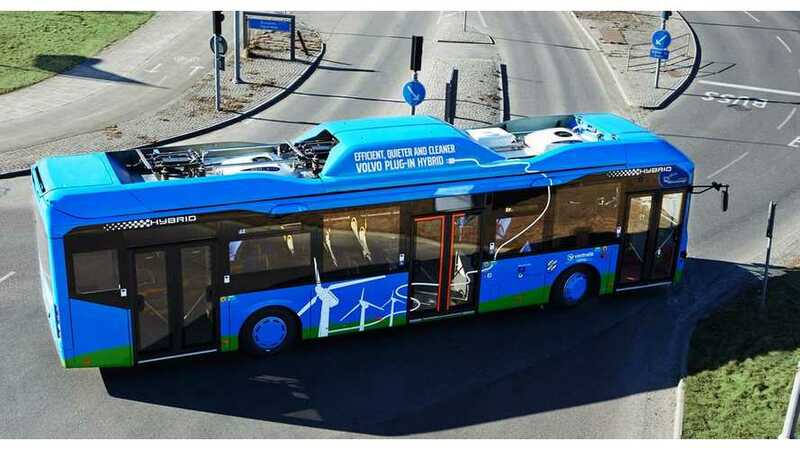 Like in Gothenburg, Volvo will deliver plug-in hybrid buses. Eight units will enter regular service this Autumn. "Starting this autumn, eight Volvo electric hybrid buses will enter regular operations in the city. The technology these buses use will offer significantly reduced energy consumption, lower exhaust emissions and less noise. 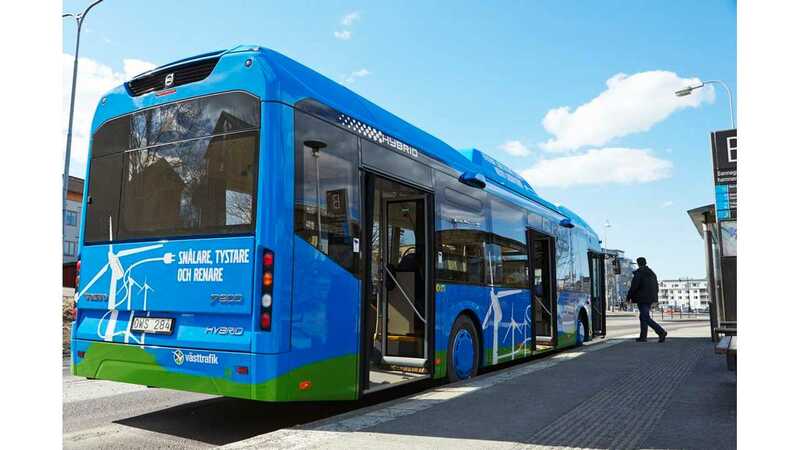 Behind the demo project, which is co-financed by the EU, are Volvo Buses, SL (Stockholm Public Transport) and energy provider Vattenfall." “A modern and extensive public transport system is essential in order to meet today’s and tomorrow’s environmental and sustainability targets. It is extremely gratifying that we now have the opportunity, as part of SL’s regular operations, to try out the very latest technology for further reducing our already low environmental impact." The project will take place in the heart of central Stockholm on SL’s Route 73 and will end after two years at end of 2016. Besides eight buses, there will be installed two quick charging stations. 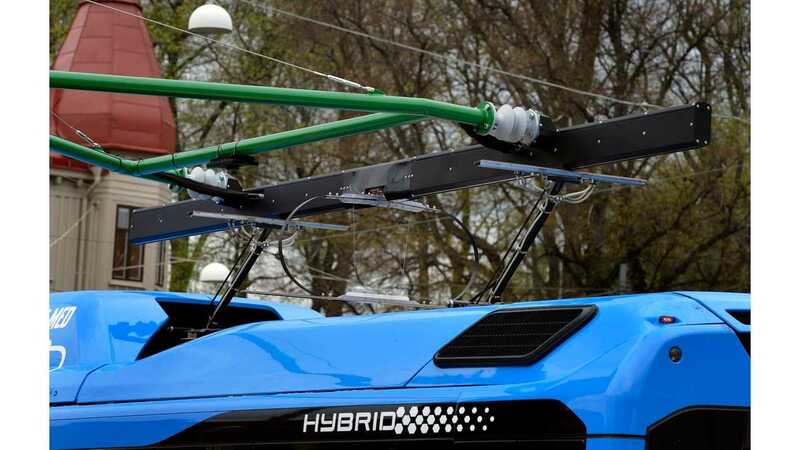 High power charging stations will be prepared by Siemens, which is doing such systems for Volvo and in other projects like for Hamburger Hochbahn AG in Germany, where a 300 kW overhead power rail for 6-10 minute charging is used. The main concept is to quick charge the buses at either end of the route. The range of Volvo plug-in hybrids is approximately seven kilometers on lithium batteries, while the route is about eight kilometers long, which indicates that the rest will be covered on the small diesel engine power. Aims to demonstrate and evaluate electric hybrid buses in regular bus traffic. Involves a total of eight Volvo electric hybrid buses and two quick-charge stations. Takes place on Route 73 between Ropsten and Tomteboda/Karolinska. Operations start in autumn 2014. The EU project will last until the end of 2016, after which the aim is for the project to continue as part of regular commercial operations. The main actors and participants in the project are SL, Volvo Buses, Vattenfall and Viktoria Swedish ICT. Additional partners are Siemens and Keolis. Keolis: Public Transport Operator, responsible for drivers"
“Public transport based on electric hybrid buses is a cost-effective way of reducing several of the big city’s environmental problems. The solutions we are now developing create the necessary preconditions for both more attractive forms of travel and also better living conditions in city centres, without requiring major investments in new infrastructure. Electric hybrid buses and full-electric buses are tomorrow’s solution for urban public transport,”. “Vattenfall wants to actively contribute to the transport sector’s future solutions and our natural role is to provide electricity and charging services, as in this case. In this field test we want to showcase electrification’s ability to improve energy usage efficiency and promote a cleaner environment,”.